Great place, except for the noisesubmitted by Hannah R. - Nov 17, 2016 |Recommended: YesA nice place except for the fact that we can hear the neighbors all the time, no matter what they do. The best apartment experience thus farsubmitted by Jenna B. - Sep 19, 2016 |Recommended: YesI would highly recommend renting here. The apartments are beautiful and updated. It is obvious that TLC takes pride in their properties. 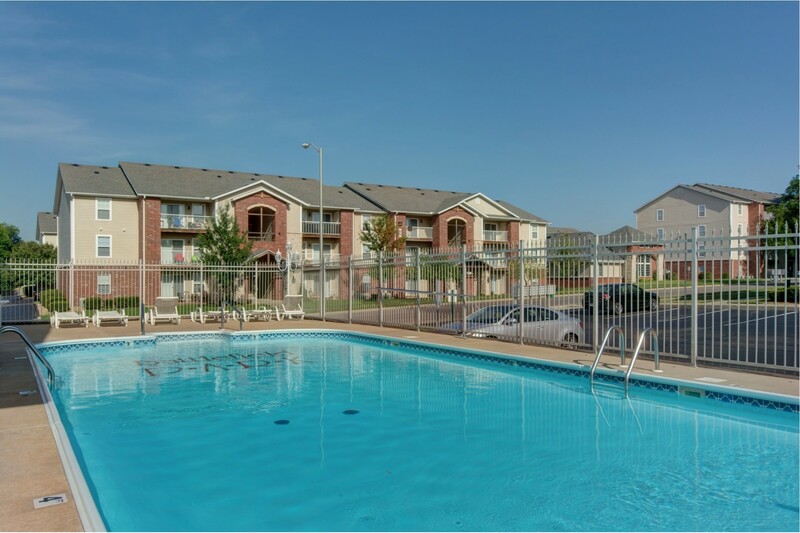 From the available shuttle to the well kept pool, there are many perks to renting here. response from property - Sep 20, 2016 Jenna, Thank you so much for the encouraging words; they are very uplifting for me and our staff here. We very much care about your experience here. Please let us know if we can do anything for you. response from property - Sep 06, 2016 Bradley, thank you for the kind and encouraging words. We are always striving to make sure everyone here has an excellent living experience. Amazing complexsubmitted by Kayla D. - May 21, 2016 |Recommended: YesGreat layout, always parking available, wifi and cable is a great plus, staff is very helpful, maintenance was quick and you can hear your neighbors but just slightly. All in all one of the best complexes I've lived in and would highly recommend to others. I love living at Battlefield Park The staff if so nice and help with any question I havesubmitted by Tracy M. - Jan 31, 2016 |Recommended: YesI definitely recommend Battlefield to anyone. Their really isn't a downfall. I love it here. Perfect Apartment hideout in the Queen City of the Ozarks.submitted by Brandon B. - Jan 30, 2016 |Recommended: YesBattlefield Park by TLC properties is a Springfield Treasure. This property is priced just right for Springfield. This community has everything you're looking for in an Apartment hideout in the Queen City of the Ozarks. The location, staff, community policies, amenities, and the unit setup for independent living is what makes this property worth it. Battlefield Park is one of the best apartment complexes in Springfield.submitted by Rick M. - Jan 01, 2016 |Recommended: YesFrom the maintenance crew, the office staff, grounds keepers and nearly all of the neighbors this complex is exceptional. I live on the 2nd floor and can sometimes hear the comings and goings of neighbors, especially the ones who live right above me, but that's part of apartment life. I like this community and having lived in other complexes Battlefield Park is second to none in overall quality and professionalism. I've already recommended other friends to live here. Love living heresubmitted by Steve C. - Dec 23, 2015 |Recommended: YesI have lived here over 3 years now and I have been very happy with every part of calling it home. If i have a maintenance issue it is fixed right away and by professional knowledgeable staff. The Apartment itself I love so much with so much closet space and big spacious rooms with a great layout. The staff is great and the benefits of living here are too many to name. If you are looking for an Apartment close to everything with bus lines if you you need them then this is your place. Pretty good, very comfortablesubmitted by Cheng Z. - Dec 19, 2015 |Recommended: Yesquiet, comfortable, big kitchen and living room, staff are very nice, office will hold the package for you, so you don't worry about you will miss any package when you are not at home.